Window Treatments – Our Specialty! Window treatments make a HUGE difference in the look of your home. 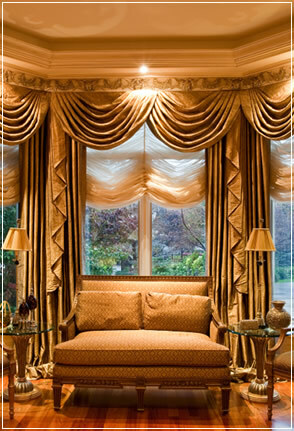 Anna Ione Interiors specializes in beautiful window treatments of every kind. We will visit your Orange County home and provide you with the best options depending upon your particular needs, style, budget and purpose of the window treatments. We can take you through the pros and cons of every type of window treatment, from wood blinds to roller shades, draperies and curtains to Roman shades, and everything in between. Once we have narrowed it down to a few colors or styles, we will use our amazing software to show you what each of them will look like in your home! Freshen up and transform the look of your Orange County home with some beautiful custom window treatments. Contact us today for a COMPLIMENTARY in-home design consultation – we look forward to hearing from you! © 2019 Anna Ione Interiors. All Rights Reserved.